Antoine Sunier is a new name to me. 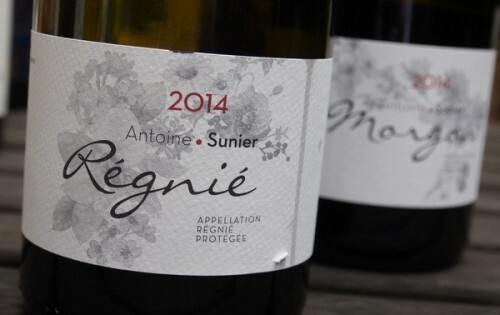 He’s the brother of Julien Sunier, who has been making wines in Beaujolais since 2008, and he came to the region in 2014 to set up this new domaine. So I guess this makes these the first releases. The Sunier’s father was a barber from Dijon, so the two brothers have come into the region and started from scratch. Antione uses just a little sulfur dioxide at bottling, so I guess these would qualify as natural wines, whatever that means. I was impressed.